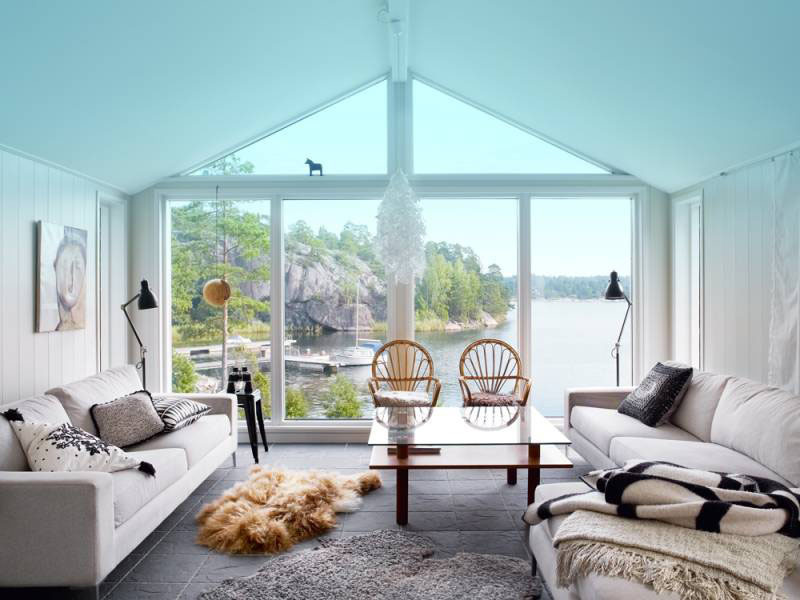 Located in the recreational area of Jogersö in the coastal town of Oxelösund, Sweden, this country house by the water takes full advantage of its natural environment. Large windows in the living room and the stone floor extend the outdoor space inside. The large wooden hot tube outside is a perfect place to unwind and enjoy the water view. The interior design maximizes the use of space. A bookcase is used as a room divider which also allows light to come through on both sides of the room.